Please fill out the form or call 514-697-8209. We've been providing commercial and residential air conditioning services in Montreal, Laval and the surrounding areas for more than 20 years. We offer a full line of HVAC services including air conditioning & heating installation, maintenance, and repair. 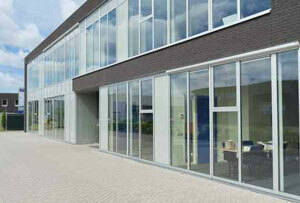 Our priority is to always deliver outstanding quality products and customer service. We offer top quality heating ventilation and air conditioning units built specifically for homes. We can cover you from A-Z including heat pumps, furnaces, humidifiers, air exchangers, heat exchangers, thermostats and more. Commercial air conditioning projects require careful planning. Minimize construction costs and increase energy efficiency by relying on our experience to guide your ventilation, heating and air conditioning projects. We utilize Emerson's Liebert data center cooling units to keep your server rooms running energy efficient and without issue. 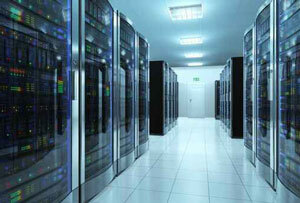 Rely in the server room cooling experts to keep your machines running at a safe temperature. With our 24 hour air conditioning repair services at your disposal, you can be sure that you are covered in any urgent situation. Likewise, by taking advantage of our maintenance services, you can minimize the chance of breakdown. Shawn and Steve have been amazing to work with. From the moment that I first walked into their office, I knew that I was working with total professionals. It is obvious that they take pride in their business, and that they are very serious about providing an excellent customer service to all of their clients. If you're in the market for any type of HVAC setup, I highly recommend Airvitech! For more than 20 years, Airvitech has provided commercial & residential HVAC air conditioning & heating services to The West Island, Montreal, Laval, and beyond. 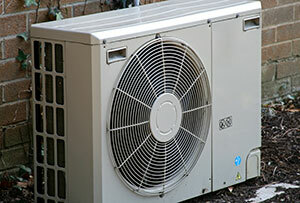 Our services include air conditioning & heating installations, maintenance, and repair. Don’t just trust any air conditioning contractor, trust in the pros, trust in Airvitech. We are determined to provide you with an outstanding product and amazing service!